Firstly I'd like to say this isn't just a "What are the LCI differences" thread. Secondly, a bit of background. 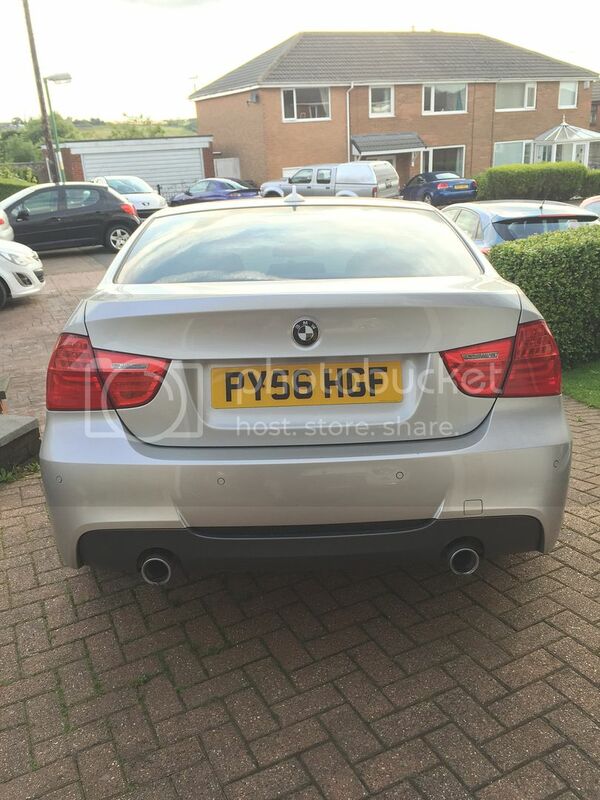 I'm looking at an E60 530d (possibly a 525d if the spec is right). I've driven several F30 320d examples through work, an E90 325d, spent a good few weeks in an F30 330d (What a car! ), and as a result bought myself an E90 335d. I ran that car for a few months but after buying a Clio 172 as a track car, realised I'd never really drive the 335d in anger so it was a bit wasted. However since then, I've ran a couple of sensible smaller diesel hatches and its killing me inside. From what I've seen, the pre LCI e60 have the same autobox (or at least gearknob!) as my 335d had. Not a bad box, but nothing spectacular. Performed much better after a throttle pedal reset (gearbox adaptation reset did very little). 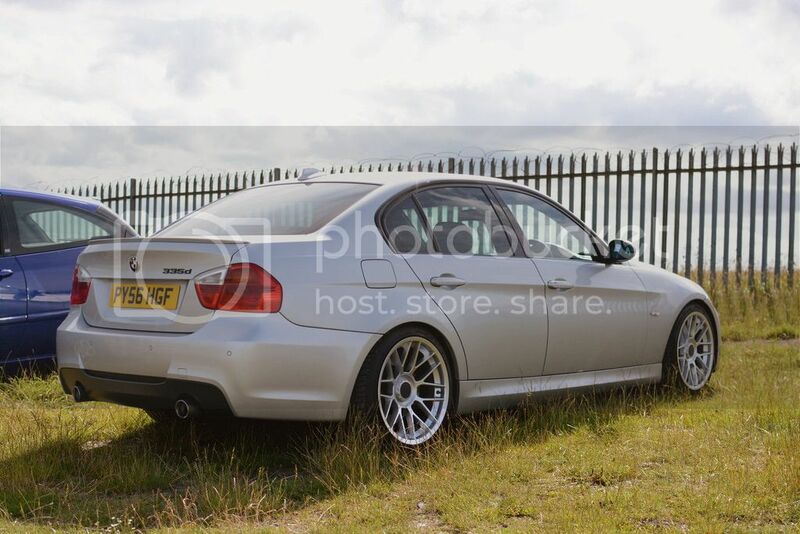 However the autobox on the F30 330D locked up very quickly and was just brilliant in general. However further research has shown up that the E60 also came with the SAT Sports autobox/shifter. I'm aware this is a new shifter/ecu/software so would be easily retrofitted, I'd just rather not mess around. My question is really as follows: Is the 'joystick' type auto box better than the previous? By 'better', I mean mainly about how quickly it locks up, and its responsiveness etc. Is the SAT much better? At the minute my budget is either a higher mileage (100k+) LCI car or a lower mileage, but older and less economical pre LCI car. And short of getting a test drive I'm not sure which way to go. I'm aware the gearbox isnt the same in the e60 and F30 as well. Also, as a reward for reading all of that rubbish, here's my old 335d that I greatly miss! I get caught out from time to time when in drive on my LCI box. Put it into sport mode using the joystick and press the SAT sport button and is much faster and responsive. I should add that I've no experience of the old style box but my point above is that the LCI box has its problems unless you have it in the right setting. Or can anticipate when you need the power. Oh and the main reason why the F10 gearbox is so much better so because it's an 8 speed box. Yes that's true it's not really a fair comparison I suppose. Interesting point about the LCI box though. All make massive difference to how the car picks up. Addressing each of the above each made a step change on the performance of the gearbox in my car. Now pretty much above 30mph it feels like the wheels are directly connected to the wheels (which they should be because the TC clutch should be locked up). The ZF8HP gearboxes are excellent though. Aha, that's interesting! So really buying a lower mileage albeit older car and then perhaps having the gearbox oil changed would be a better bet than an LCI with 120k miles? Well what I can say is a sorted pre-LCi gearbox is really good. I'd buy on service history more than miles or age (or LCi vs pre-LCi) . These cars need a lot of attention and if neglected there can be big bills. At 120k miles the DPF is due for a change but a well looked after 120k mile car will be better than an abused 50k mile one (regardless of age). If you're buying an x35d look for a car that has had the TC changed - they do eat TC clutches. Take it for a test drive and you should immediately notice the difference between a good gearbox and a bad one. Ah I'm all conflicted now! I won't be getting an x35d again. Done that. Also I'm convinced a single turbo car would feel quicker as my old 335d power delivery was very smooth. 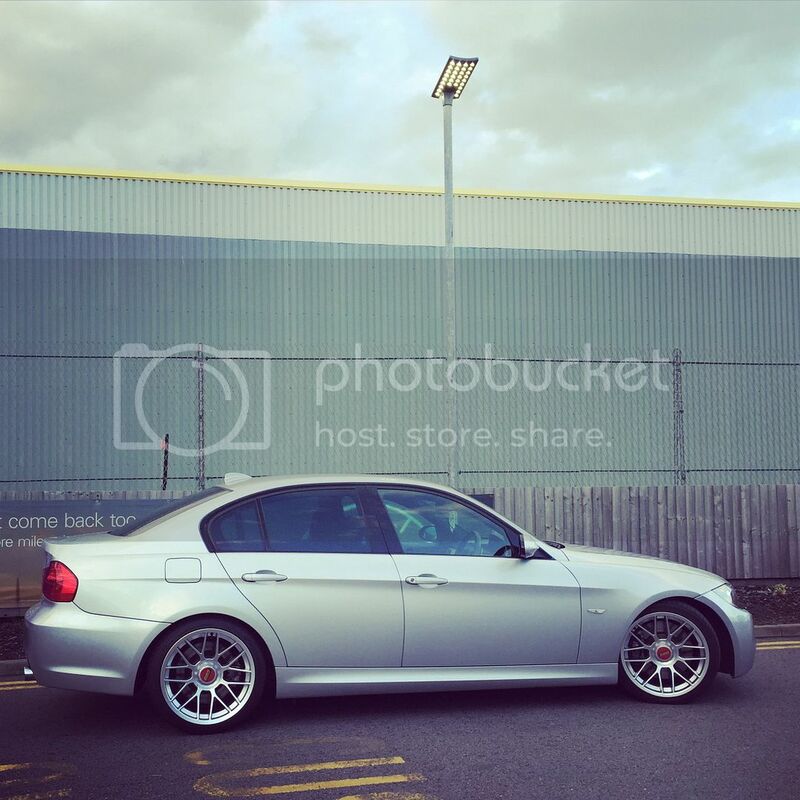 That's said I used a pre LCI e90 325d touring for a while and that was pretty uninspiring. That said I was daily-ing a 350bhp Impreza STI at the time! To be honest my heart is almost fully set on a 530d M Sport. And I'll probably be remapping it and removing the DPF pretty soon after buying it and then enjoying s relatively cosmetically standard car (compared to my previous vehicles). For those in the know, are there any examples on Autotrader/Pistonheads jumping out as being exceptional? Any jumping out as being ones to avoid? Anyone selling one? If I see an overtaking opportunity coming up I'll always flick to sport mode in preparation to avoid the delay if I need to be quick. If it's a normal motorway overtake with no real urgency then D is fine. "D" should be replaced with an "L" for lazy mode. If you put your VIN into realOEM it should tell you your gearbox type with minimal drill down. Not wrong more like VL! My 335d was like that at times. I had the adaptations reset, that did very little. What actually made the most difference was the 2min procedure to reset the throttle adaptations. That made the TC lock up much quicker. I cant remember the procedure but its a combination of pedal presses and button presses and certain times etc. Standard LCI box on the left, SAT (Sports Automatic Transmission I think) on the right. The SAT shifter is curvier, and also has leather around the base. The only differences are software, whether it has a sport button, flappy paddles and the shifter mechanism. There is no difference between the pre and LCI E6xx actual gearboxes, they are both ZF 6HP26. Fxx 5 series cars get the 8 speed box. If you have a car without flappy paddles you can fit an early M5/6 steering wheel and wire them in. The sport button just changes the software map. If you get a pre LCI car just make sure the software is up to date. Mike you are a legend! Thank you so much as the fear of a bad/lazy autobox was putting me off a pre LCI car, even though I had the same box in my 335d (I think) and never had any issues. Can most independants update the software? I guess a lot will be able to. When I had my 645 (same running gear and box) I had mine updated and the oil changed made a big difference. Ignore the sealed for life rubbish. It should cost you about £250 to get the oil done. The LCI 535d has a 6HP28 gearbox. This has an improved oil pump and improved torque converter clutch so it can handle 700Nm instead of 600Nm for the 6HP26. Torque converter issues are less common on the LCI. But both, if looked after, will be fine. Incorrect they have different torque ratings and lci cars are much lower tax and seemingly better economy so I imagine the software is a vast improvement (and engines). If you're getting a 530d and mapping it, you're looking at stock 535d power. You can take comfort that the bulk of the engine and gearbox is identical in both cars so won't have to worry about stressing it too much. Pre lci cars you're teetering on the gearbox limits. Just go for an LCI. Mine is on 110k and I had the fluid and filter replaced at 100k. 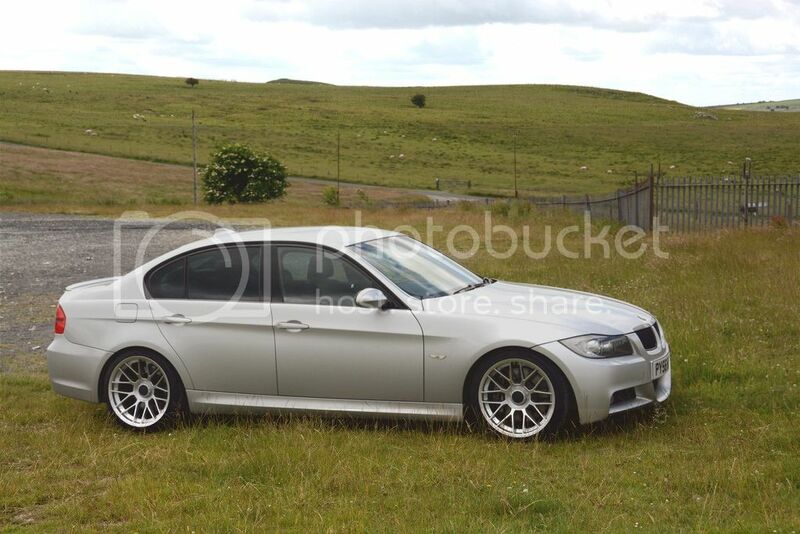 Remapped 530d. Driving gently the gearbox will not bother locking 1st and gets you into second, locking at around 15mph. It stays locked (or feels it) all the way from there. Driven hard or in sport/manual apart from setting off it feels like a manual. Exceptions are, if you're in D in say 4th at 30mph, if you slow down slightly and it decides to stay in 4th sometimes when you accelerate it'll throw the effect of riding a clutch in a manual until it locks again. I don't have the sport button or paddles but you can retrofit a button to enable sport mode easily if you wish. Paddles do seem good as you can override the gear temporarily with them in drive, for instance when down shifting. My biggest gripes to be honest, are the warm up procedure in the winter (stays floppy for 5 minutes), the inability to change gear in drive temporarily, and the fact that if you floor it in say second gear in drive, when you release the throttle it goes to 3rd, 4th, 5th, 6th all in quick succession when the reality is you probably want to slow down. Oh yeah, last one, that you can't put it in manual without going into sport first which often downshifts the gear. My only auto out of 18 cars in 10 years and I don't regret it at all. Just to chime on this thread - can anyone suggest is it worth doing an update (software) on pre-LCI cars? And if so where can i find what version one is at the moment? Thanks... I will ring up local bmw dealership to check if that's something they'll entertain now that car is 10 year old . And something that i'm tad cautions about is... Is it worth a risk?